Spacious one bedroom with private garden patio in Sandcastle Villa - fully rainscreened and new roof (2001), plumbing (2008), new windows and patio doors (2012) - just relax and enjoy. Big, open kitchen, newly updated bath, bedroom large enough to fit a king size bed, and lots of insuite storage. 100 sqft patio with gate access for Fido's quick trips out. One dog (any size) / 2 cats allowed. 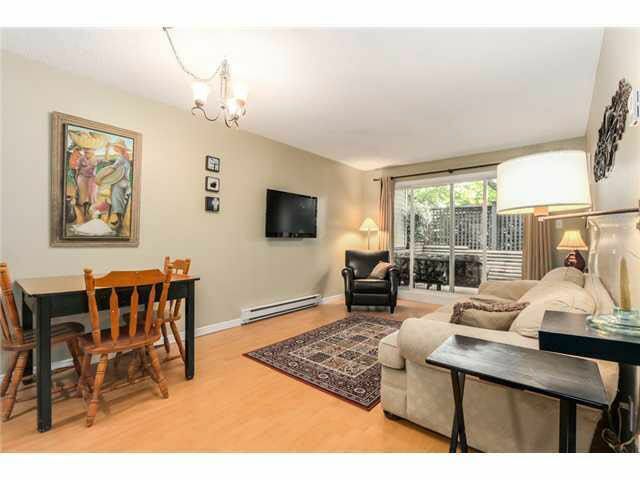 Steps from The Drive's great restaurants and shopping, close to skytrain. 95 walkscore! Open House SAT AUG 23rd, 12 - 1:30pm.